January can be a tough month, Christmas is well and truly behind us, many of us are on off the booze and the weather couldn’t be much gloomier. What better way to treat yourself come the weekend than a proper brunch with all the trimmings. 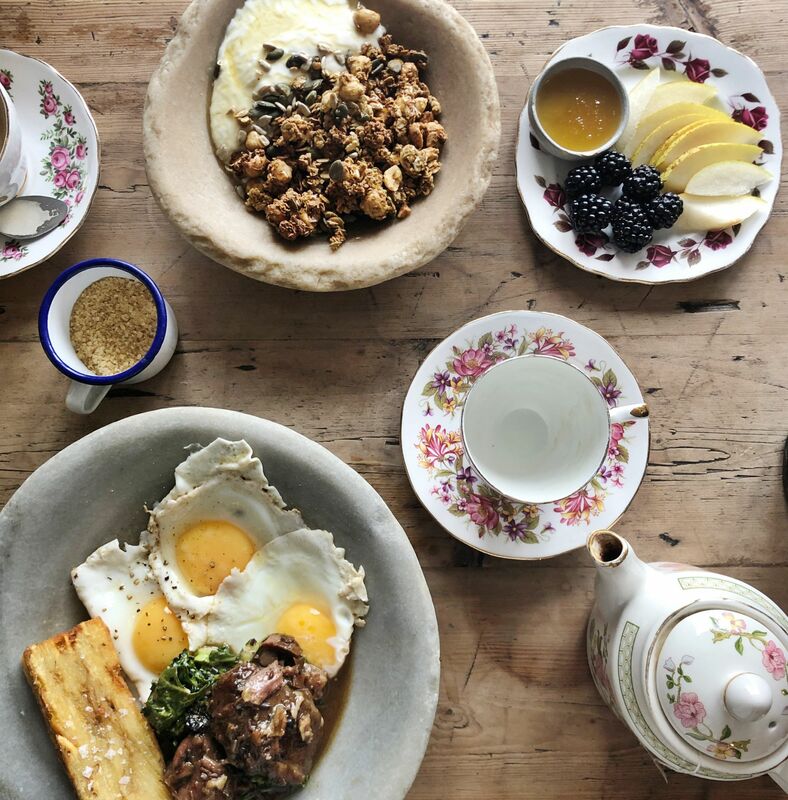 I’ve lived in Clapham for what is fast approaching 7 years and I’ve always been a big fan of the local food scene and in particular the options for brunch. 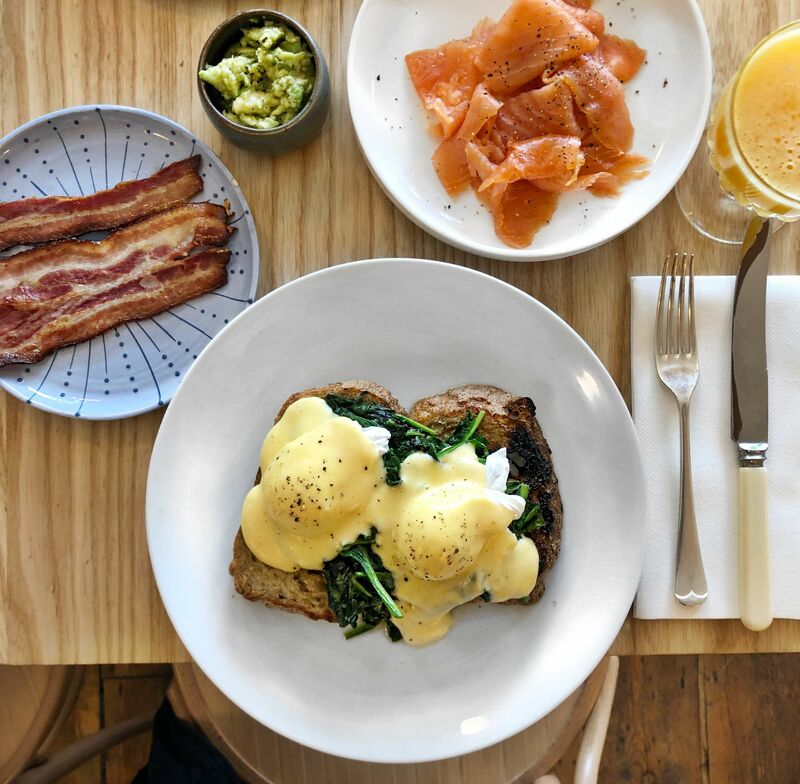 It’s safe to say that Clapham has a very strong brunch game and there is a real plethora of options, whether thats for brunch with friends or that post-weekend workout refuel! 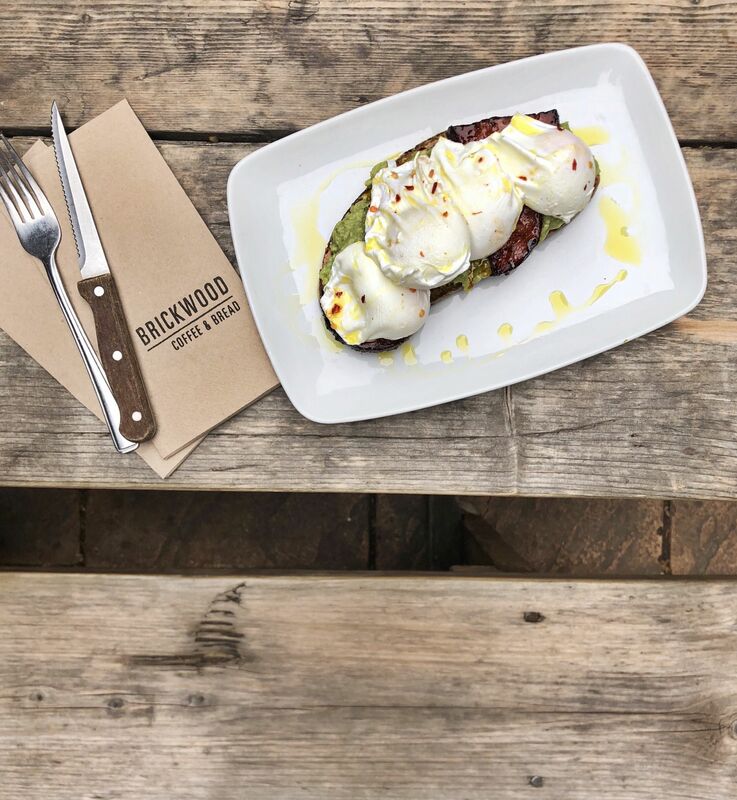 Located right by Clapham Common tube, Brickwood is a real gem of a brekky spot and serves up my favourite coffee this side of the river. 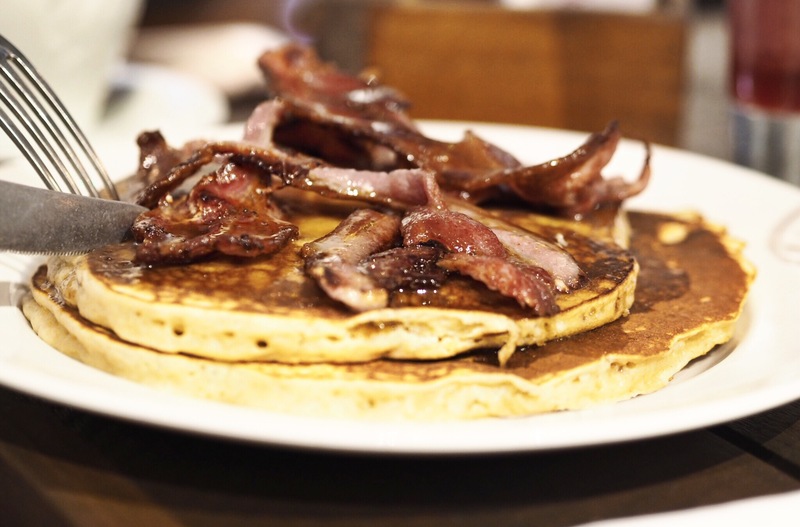 Founded by Aussies, the menu features a whole host of brunch favourites with a few twists. 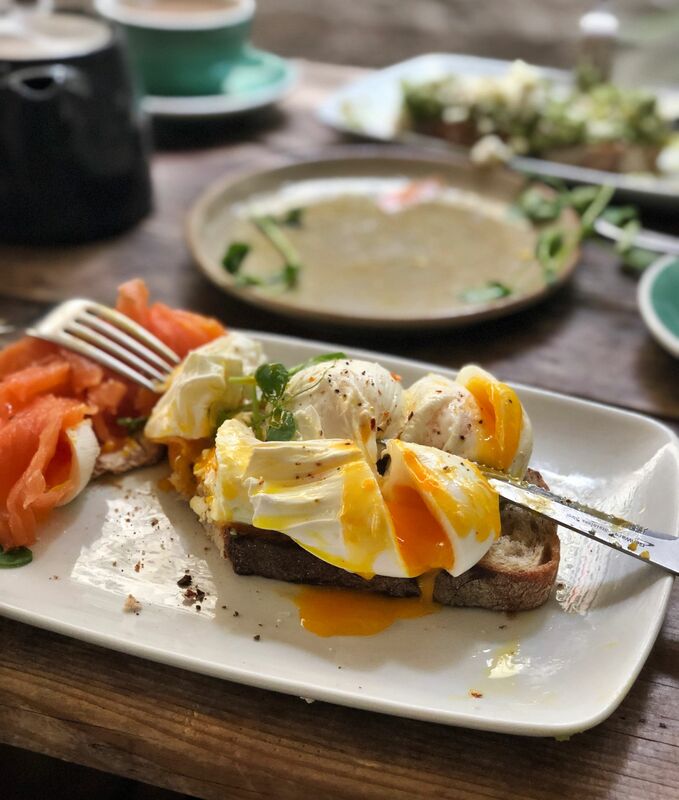 The ‘Kumara’ is a stand out plate featuring sweet potato & feta topped with poached eggs, healthy and filling and a favourite of mine after a tough session in the gym. If you’re on the lookout for something a little less healthy the toasties are rather immense, ideal if you’re feeling hungover and the ‘four cheese’ with cheddar, red Leicester, mozzarella and cream cheese always hits the spot! Like most on this list, you can’t book, so be sure to get there fairly early or be prepared to queue! 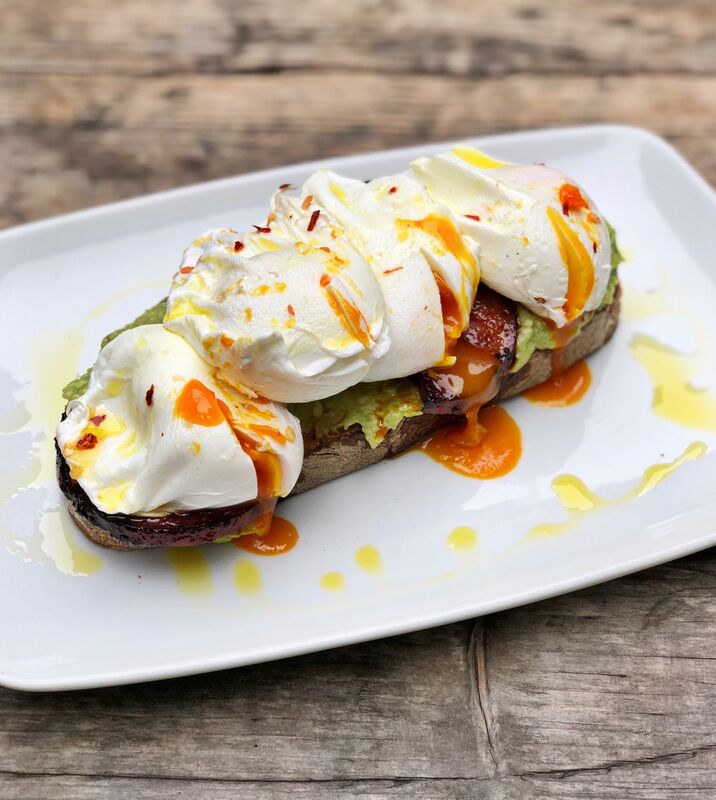 *Standout Dish – Classic smashed avo on sourdough with chorizo and chilli oil. Another one located right by Clapham Common, The Dairy is a real shining light of modern British cuisine. A great place for a romantic dinner with a difference, their menu is seriously inventive and utilises locally sourced (and often homegrown) produce. The brunch menu is ideal if you are looking to sample their cuisine in a more relaxed environment and it’s much more affordable than the lunch or evening A La Carte. 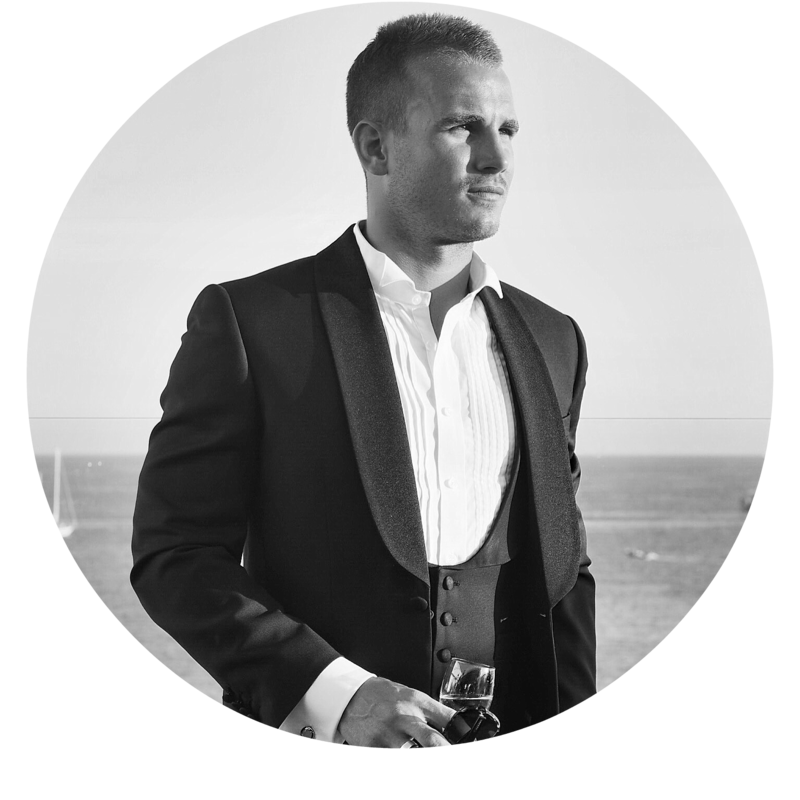 Favourite dishes include the smokehouse salmon on Guinness soda bread with pickles and the classic brunch dish of avocado on toast with spicy nduja topped with a poached egg. A dish with a real difference is the bbq pork cheek with fried egg and crispy potato (a posh hash brown), a refreshing alternative to the brunch classics and ideal for those of us looking for a proper feed! Brunch is only available at the Dairy on Saturday & Sundays. You can call and book for brunch and I strongly recommend doing so, particularly in the Summer months when it can get rather busy! 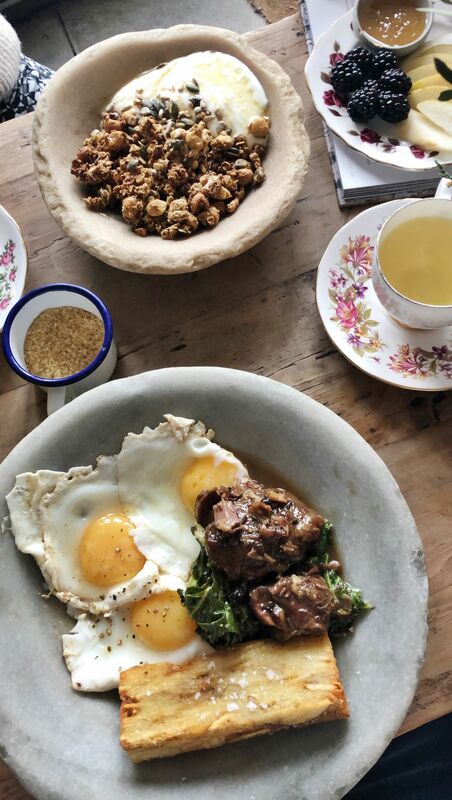 *Standout Dish – BBQ pork cheek, fried Cacklebean egg (or 3!) & crispy potato. A relative newcomer to Clapham, The Minnow is focused on modern seasonal dishes and utilising locally sourced produce. 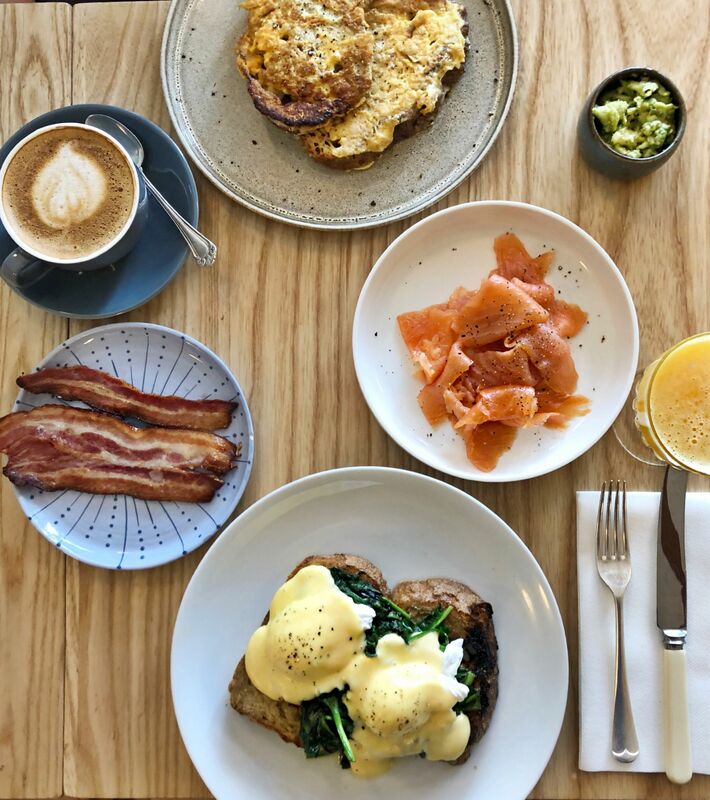 Brunch at the Minnow is typically British with all the usual classics, eggs benedict, scrambled eggs and smoked salmon etc. The eggs florentine is particularly tasty and all the bread is made on site which I always find rather impressive. It’s also worth checking out the Minnow for a traditional Sunday Roast with all the trimmings! *Standout Dish – Eggs Florentine On Homemade Sourdough. 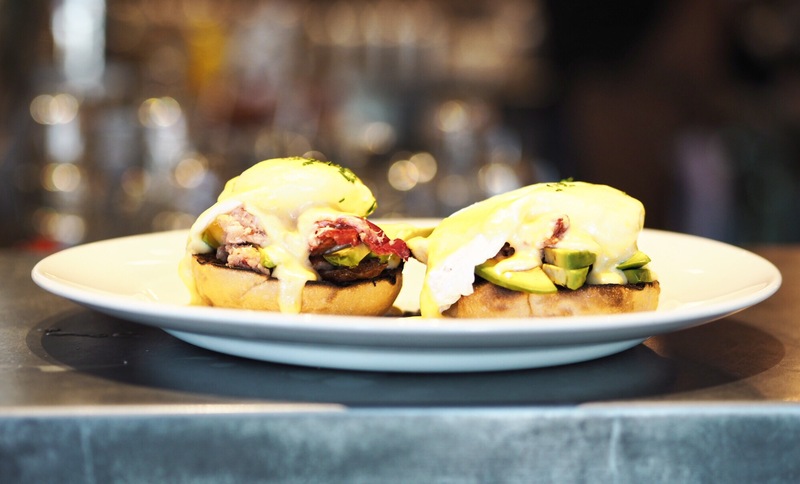 Born in Soho, Balans opened up in Clapham a couple of years ago and is a firm favourite of mine for a proper brunch and feed. The brunch menu is pretty extensive with all the usual dishes and some slightly more adventurous combinations. Josie always goes for the house pancakes, made on site and swimming in rich maple syrup. A new favourite of mine is the suitably named ‘High Society Lobster Benedict’ featuring lobster alongside the usual ingredients, a very filling and luxurious way to kick start your Weekend! 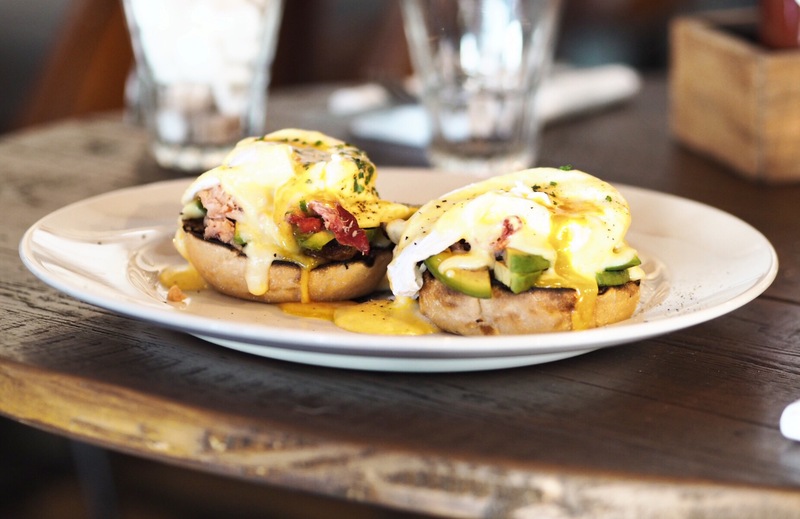 *Standout Dish – Lobster Benedict & The Pancakes. Where are your favourite places to brunch?